$6,000 – Please inquire with the artist if you are interested in purchasing this piece. The Stranger Reduction Zone now has its own website. 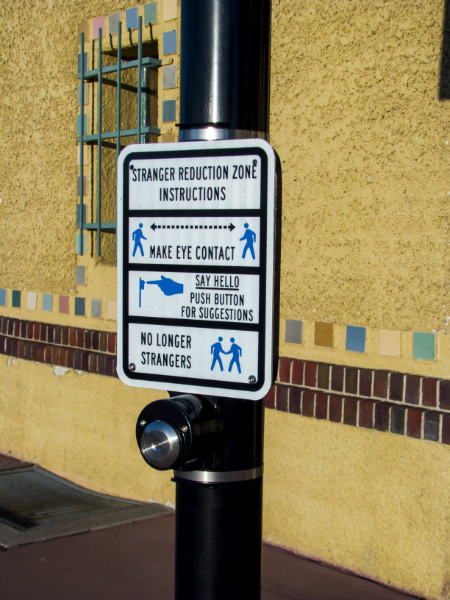 At www.strangerreductionzone.com, you can download and print a variety of different sign designs and create your own temporary Stranger Reduction Zone. 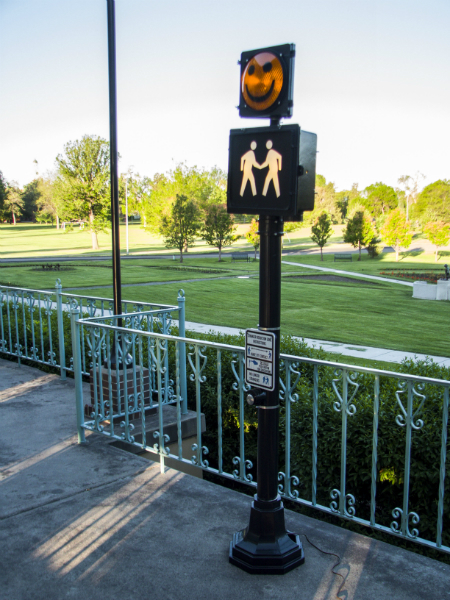 You can also upload and share your photos with or about the Stranger Reduction Zone with others in a public gallery. 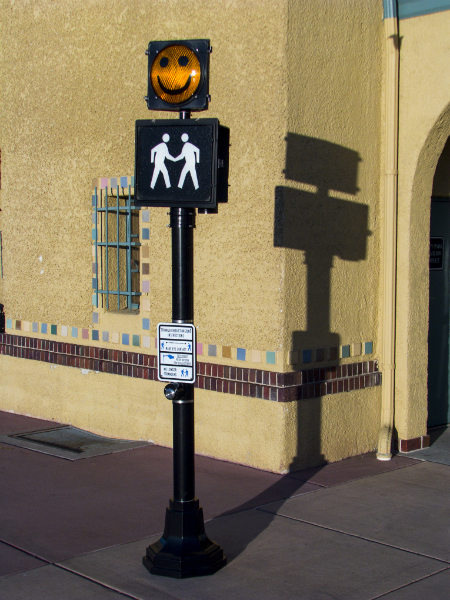 The Stranger Reduction Zone is a public art intervention piece designed to help break down the anonymity between people in busy downtown settings and help strengthen urban communities. 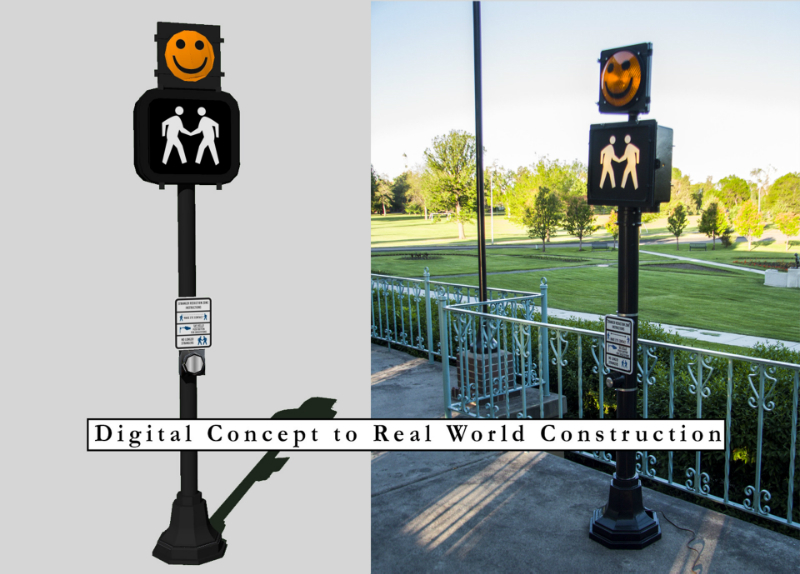 This work mimics the familiar aesthetic of city street signs and lighted signals while using readily identifiable iconography to quickly connect with the audience. While the Stranger Reduction Zone is ultimately meant for public outdoor spaces, it is also adaptable to be shown indoors. Information and maps to these can be found by clicking here. Special thanks to Rosetta Stone who supplied all of the audio language files for the Stranger Reduction Zone!! Please see my Exhibitions page for information on where to see this work. Please contact me if you are interested in showing this work or purchasing it for your space. This work is highly adaptable and modular in nature, it can be adjusted to fit varied needs.